LED Lighting is one of the most innovative, calculated and sustainable technological advancements in the lighting industry. LED lighting stands for Light Emitting Diodes. A Diode is a semiconductor device with two terminals that typically allows the flow of current in one direction only. LED Lighting is an efficient lighting solution that generates smart and trusted financial return. You might be asking, “What are LED Bulbs?” LEDs are tiny, solid light bulbs that are long lasting and energy efficient, supporting global green initiatives. Different from the traditional light bulbs which include neon, incandescent, and compact fluorescent lighting, LED lighting offers technical advantages including increased safety, reduced maintenance costs, longer life spans, and lower energy use. 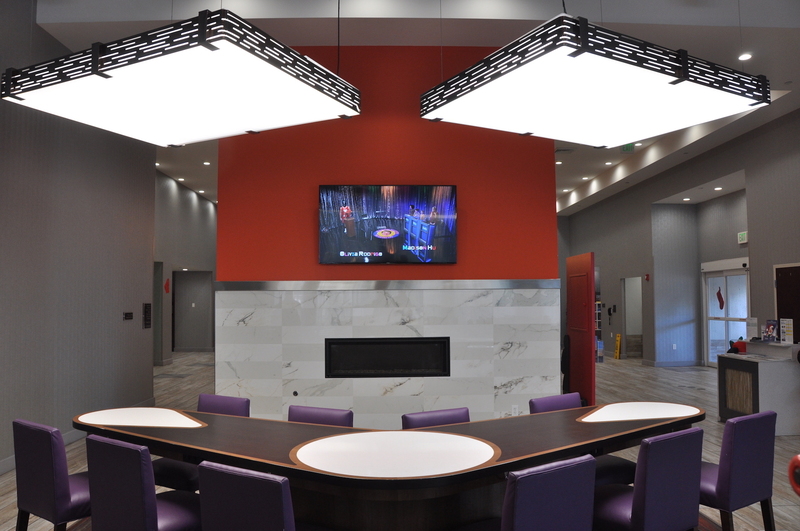 To learn more about LED Lighting, check out our Our Recent Projects!